Although many Vacation Rental Companies are in the thick of your season, it might make some sense to take some time now to plan for the shoulder season, less than 45 days away. 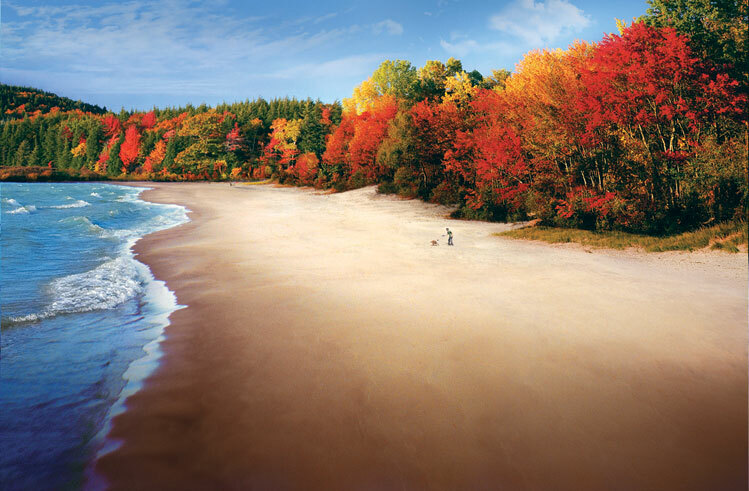 Putting some marking campaigns into place now might mean the difference between high occupancy or lower occupancy for those amazing fall months when the weather is still beautiful and there are less crowds to contend with. Now is a great time to look at the marketing portals that you work with. If you’ve been tracking your source of business over time you will be able to see what marketing portal partners provide you with the most bookings. Remember, not all properties have to be advertised on the portal. “Gateway” properties can be effective in driving traffic to your website or call center with the ability to bring other properties into the conversation. Of course using portals is only effective if you have a booking engine that passes information automatically out to the portal site. You will also benefit from having an automated portal response tool, which stops those looking into someone who books the property. Both of these tools will help you deal with the many details that are involved in each vacation rental. Have you added concierge services as part of the offerings that you make to you incoming guests? Things like grocery delivery, mid-week cleans, linens are all great examples of providing valued services to your guests. Adding on booking for local golf courses, spa treatments, photography packages and outdoor adventures take guest experiences even further. If you can offer these vacation experience enhancements and feature them as part of a marketing campaign, you can drive bookings. If there is a type of fish that comes in season and you have a relationship with a local bait and tackle shop… make sure you advertise to potential renters who might be willing to book a house just to fish. Combine your concierge services with a coupon that is promoted on your website. Thinking about booking in October? Provide a coupon for free pool heating or a kayak tour to entice people to make bookings without providing a discount. Is there an Oyster Festival or other fun local event? Be sure to highlight it on your blog and make sure that potential bookers know that you have properties that they can rent within walking distance. Vacationers who have stayed with you before will be especially tempted to rebook for the feel of being part of a “local” event. Now is also a great time to take some notes about things that are working and not working for you in terms of processes and your technology. Put together an email and send it over to your technology partner and see if there are ways to put more automation around your processes so that you have the time to be creative, to curate those guest and owner relationships and generate more shoulder season bookings. That’s a win-win-win. Barefoot offers all of the tools that we have listed above, including one of the broadest partner programs in the industry. We work with you to help you understand and set up marketing portals. We have the ability to add in concierge services… in fact, we think that these are going to increasingly be an important part of remaining competitive in the industry. Our coupon module was initially developed by our customer Dollywood and then further augmented by our customer’s requirements. We think it is one of the strongest coupon products in the industry. Finally, we have outstanding ongoing customer support. Our team is as much about solving problems as it is consultative. We want to continually be part of our customer’s success. If you would like to learn more about one of the most innovative products in the vacation rental management industry, please contact us at sales@barefoot.com. We really do have a unique approach and would like to have a discussion to see if there is a good fit.